Hello everyone. Barbara here with some mail art inspiration for you. 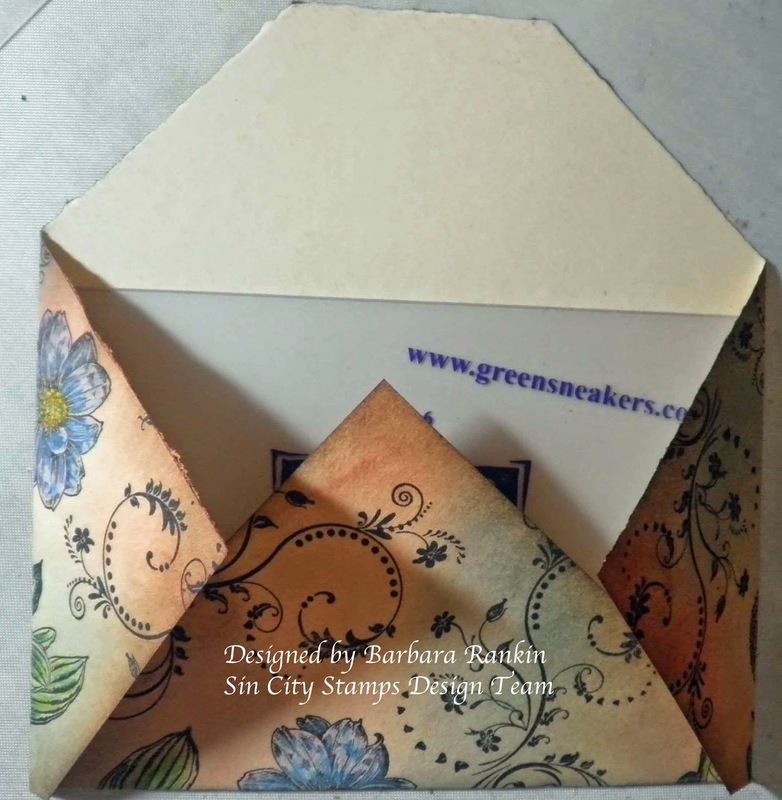 Our co-sponsor this month is Green Sneakers, who make the most wonderful envelope templates for our crafting needs. So, without further adieu, here is my my mail art envelope. 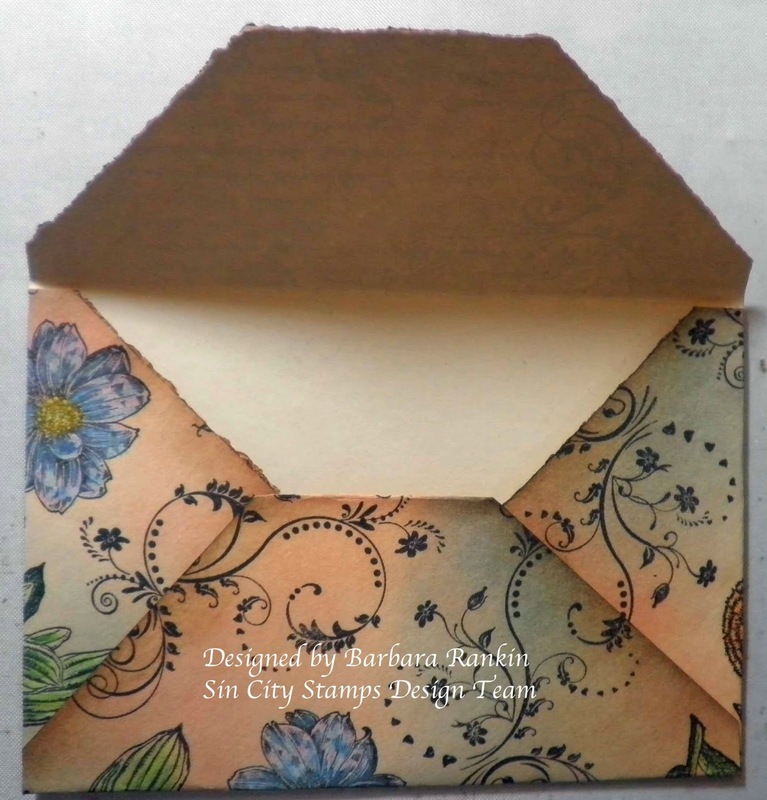 Before I start my step-by step directions, here is the link to a short video about how these wonderful envelope templates work. 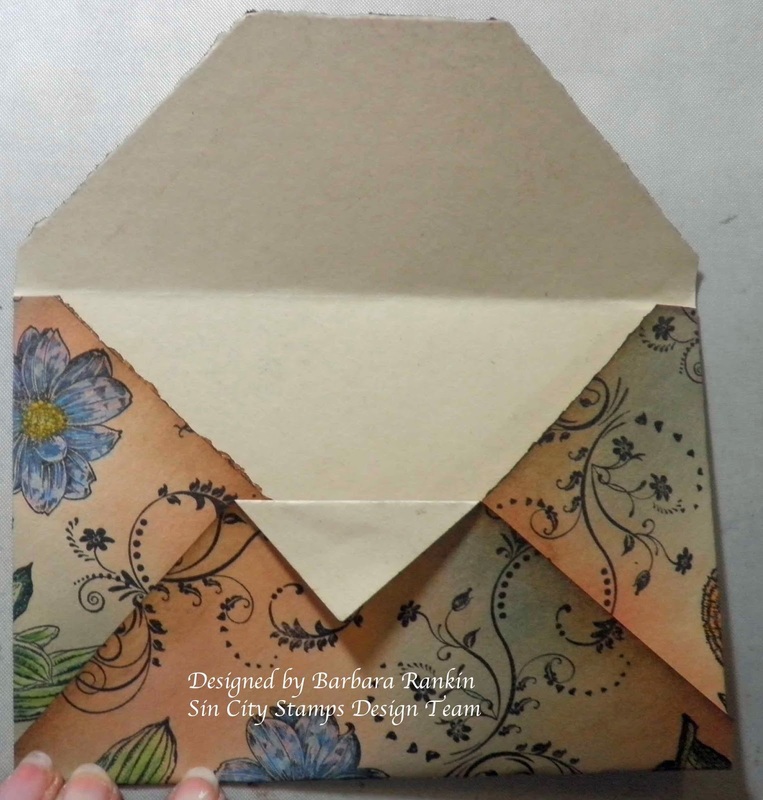 You are shown how easy it is to make an envelope from any kind of print paper, even gift wrap. 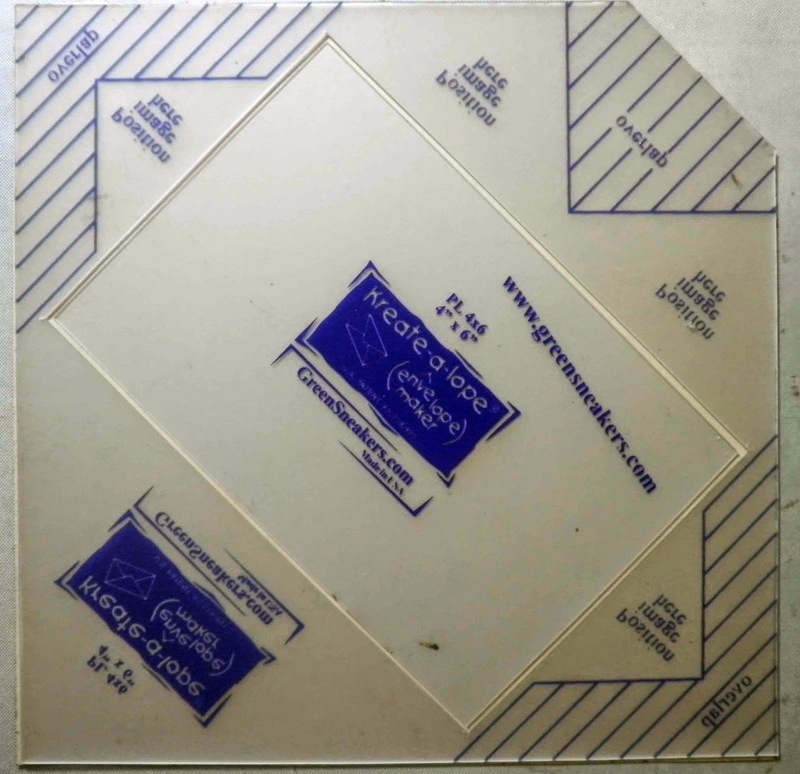 For my project today, I want to show you how to plan your stamping project to fit properly inside the window, so that your best work shows on the front. 1. 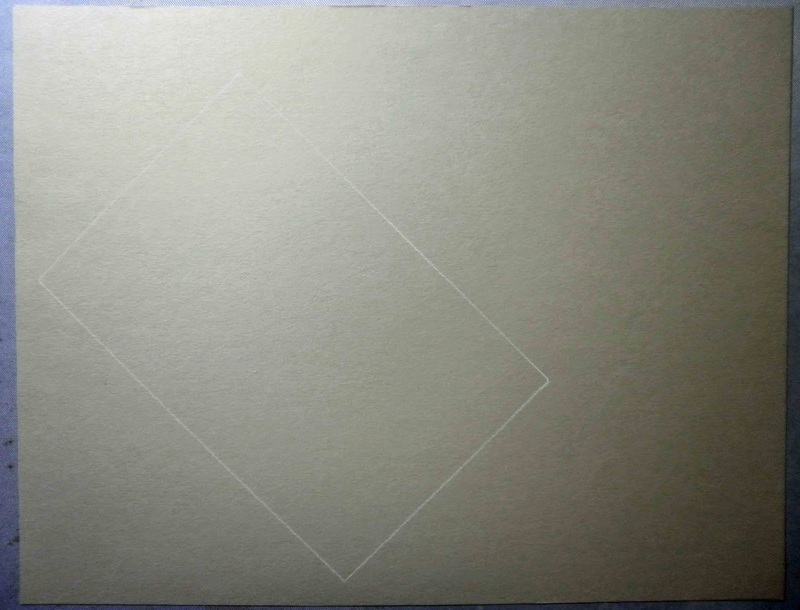 Place sizing template onto a piece of 8-½" x 11" card stock. 2. Use a pencil (I used a white pencil) to mark the window. 3. 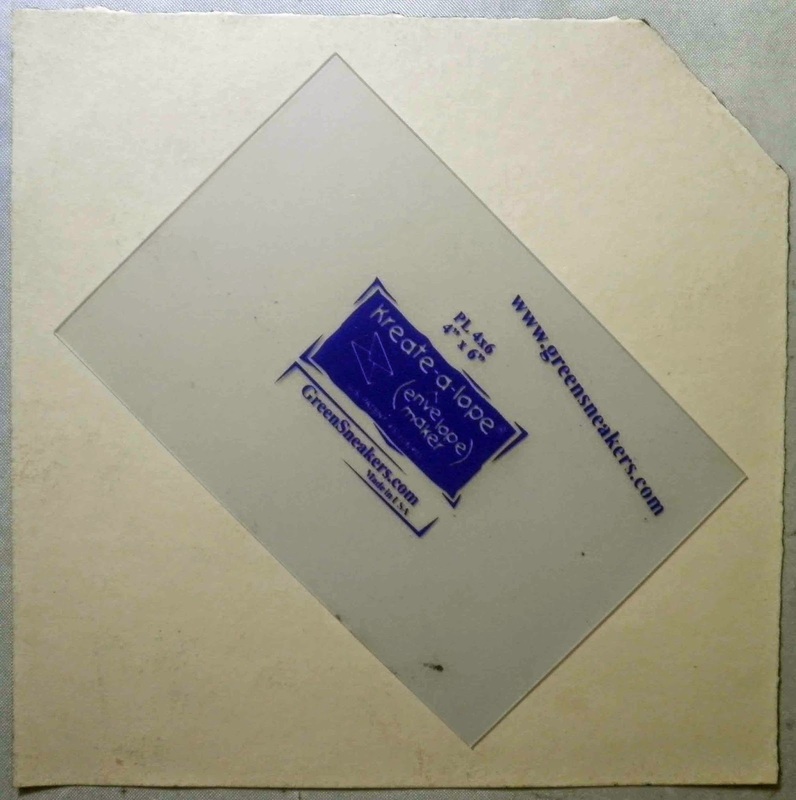 Use a stamp positioner to stamp your images within the window. 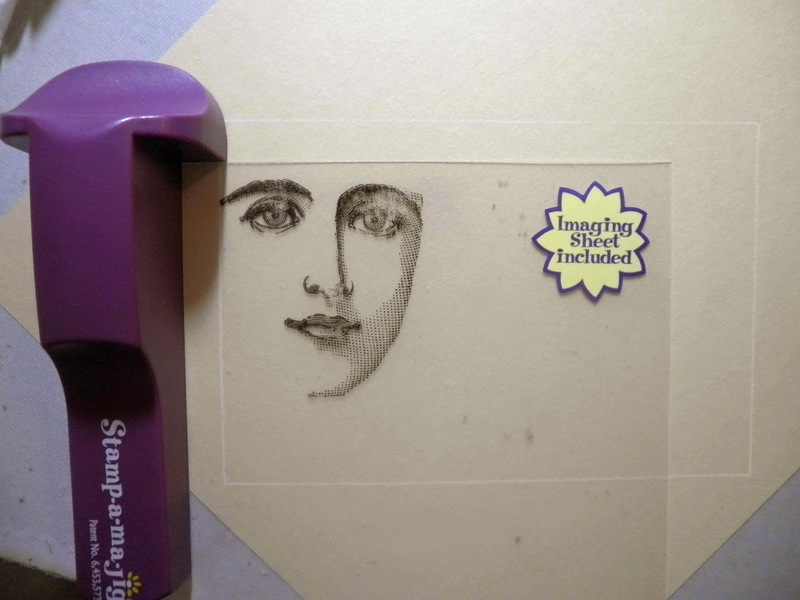 Here, I am using the larger face figure from the Natural Beauty stamp plate. 4. 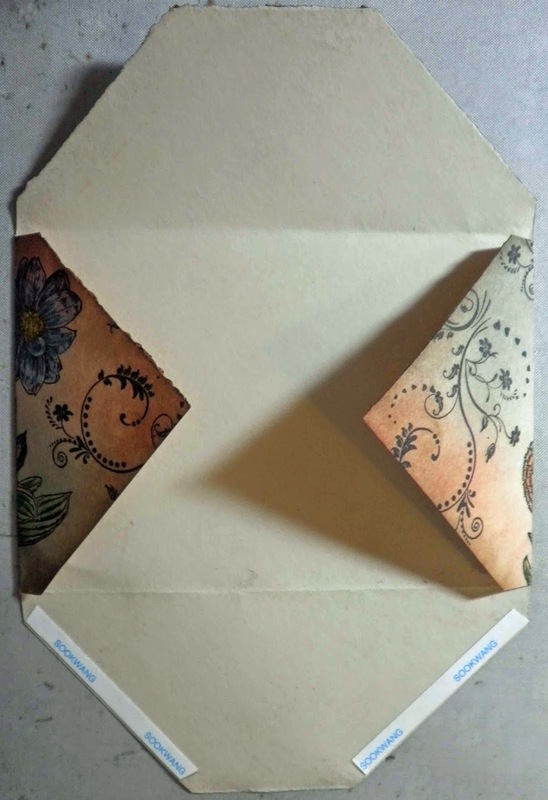 When you have covered your envelope area, place sizing template back down over your stamped images and tear away the excess by pulling the paper against the template on a slight angle until the paper is the same size and shape as the sizing template. This tearing effect is quite nice when finished. 5. 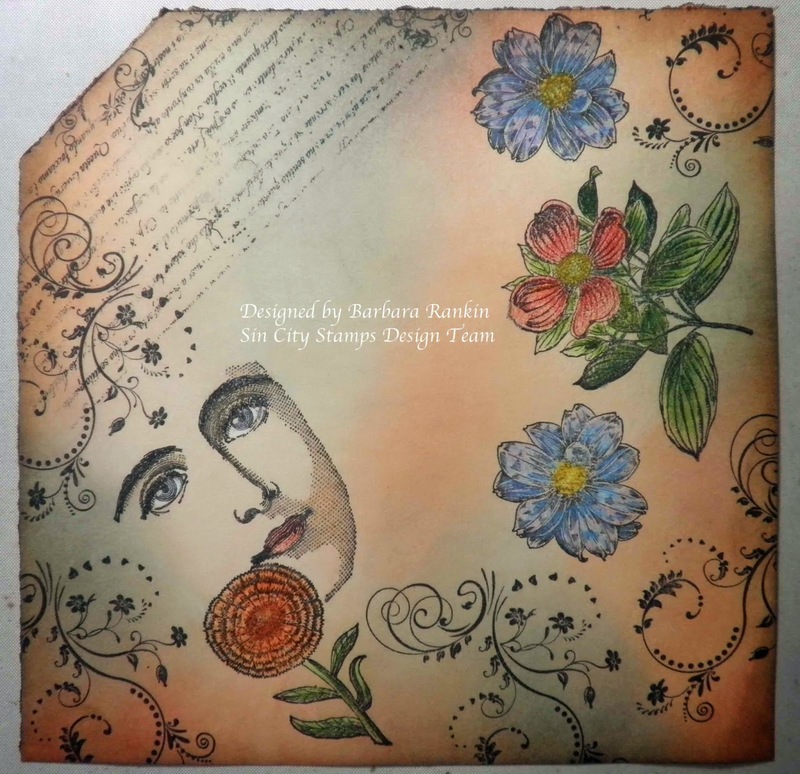 Color stamped images with colored pencils and sponge distress inks over the entire background. 6. Flip paper over to reverse, stamping side down, and reposition the sizing template on top of the pear so the corners match up. 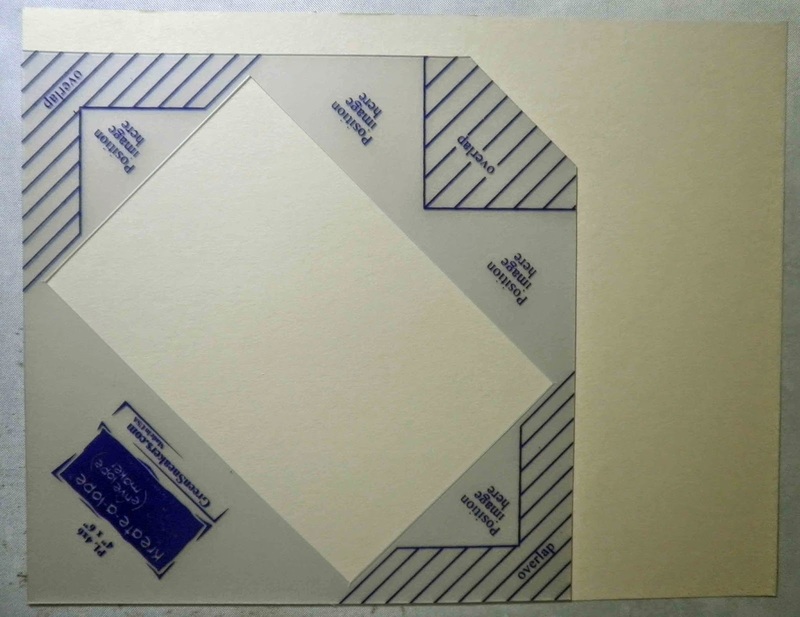 Then place the envelope template into the "window" of the sizing template. 7. Remove the sizing template. 8. Fold sides first, then bottom, then top. 9. Open envelope up and trim corners, as shown. 10. 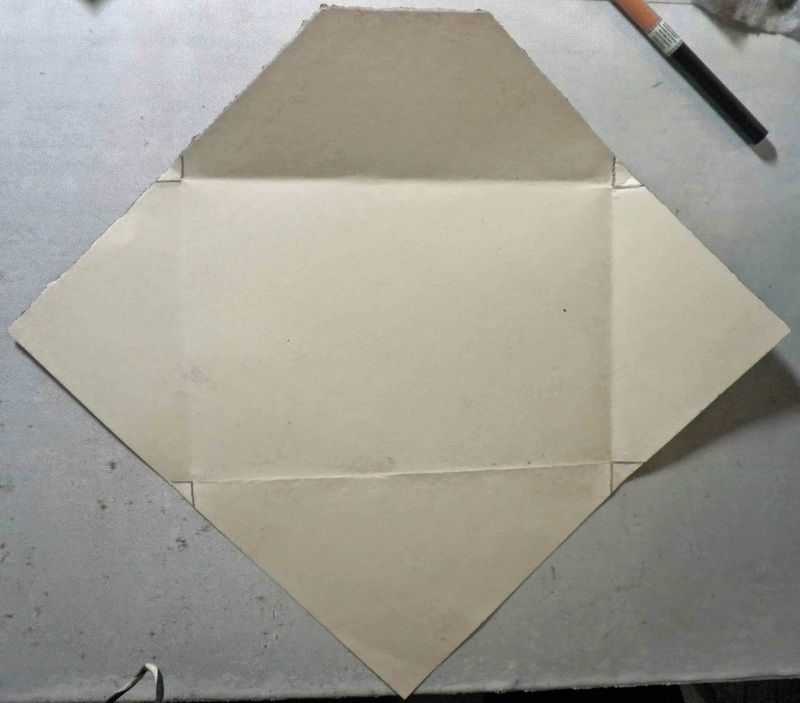 Fold top point of bottom flap down until it meets the sides, as shown. 11. Trim excess off. Use adhesive to seal the bottom flap to the sides. There you have it. 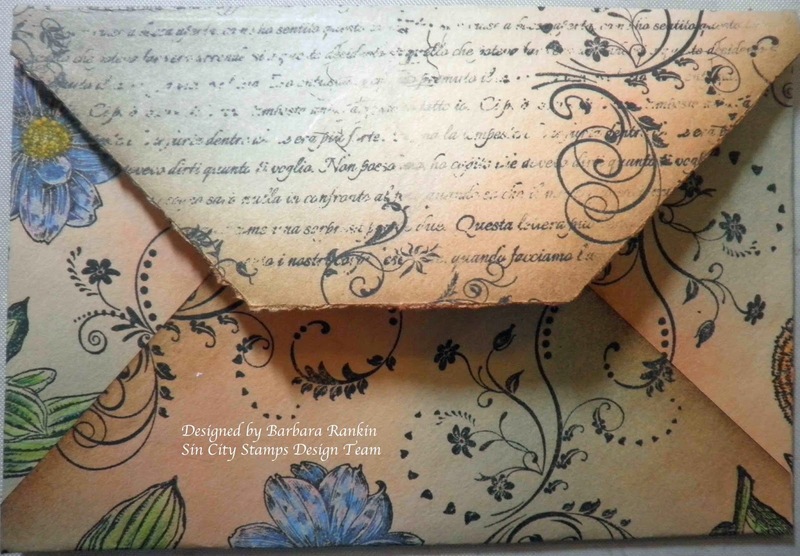 A beautifully stamped envelope to give with a matching card, or how about making your very own envelope book with several of these works of art as your book pages. 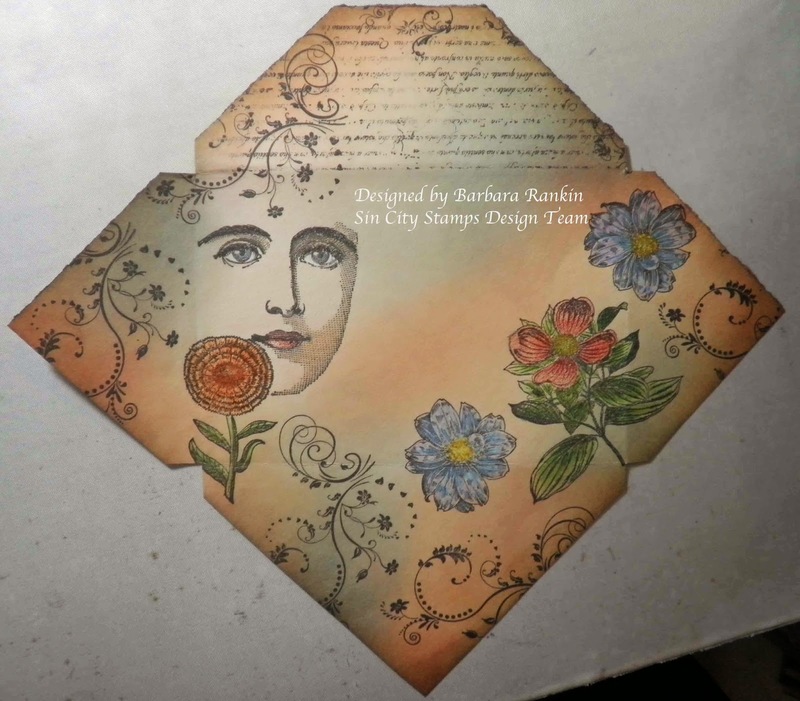 With the stamps from Sin City Stamps and Green Sneakers fabulous templates, it will make this project so simple to complete. 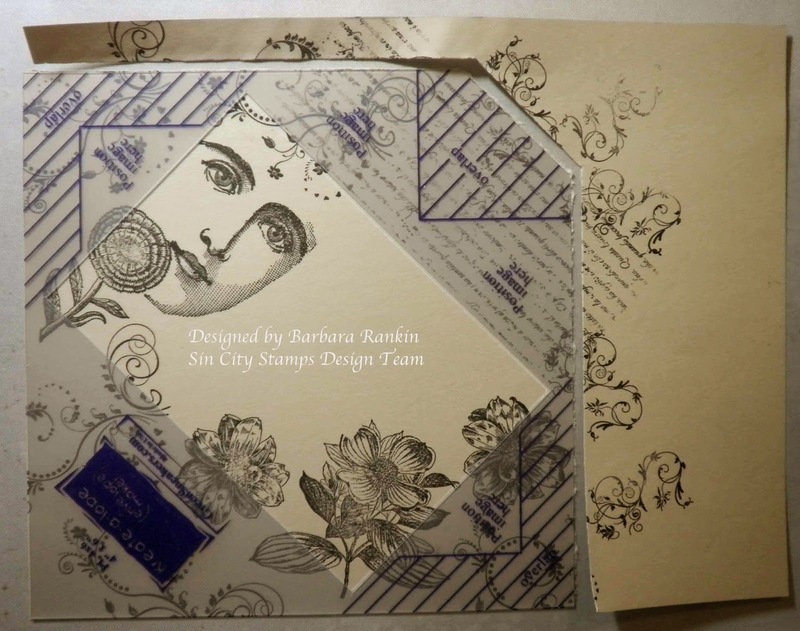 I hope you will visit the Sin City Stamps blog for more inspiration from the design team, and be sure to stop by the online shop for all your stamping needs. In addition, Green Sneakers has a variety of templates to use for your paper crafting needs, so I hope you will visit them, too. Thanks for stopping by, and have a wonderful, creative weekend. 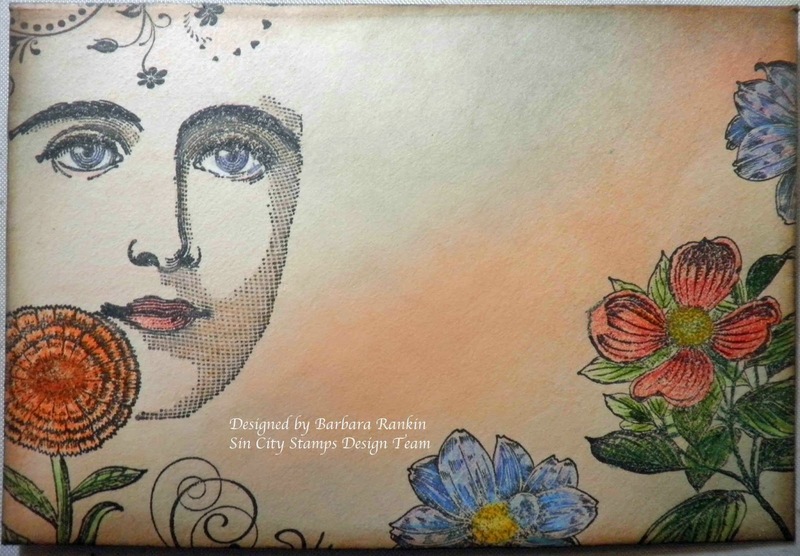 Wow, Barbara that envelop is amazing, love every unbelievable detail. LOVE, LOVE it!!! !